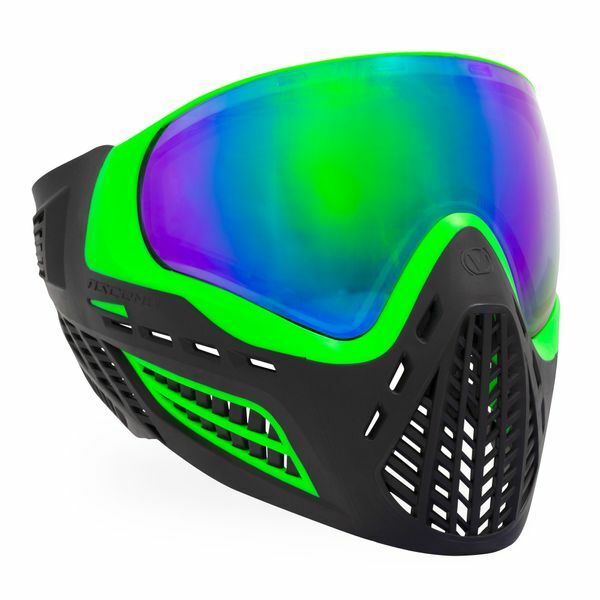 The Virtue VIO Ascend is the newest Paintball goggle in the VIO lineup, combining superior performance with a mid-range price tag. 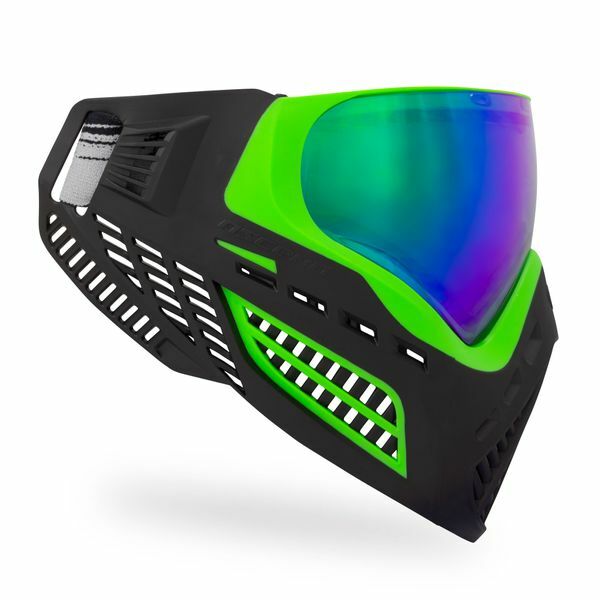 Designed and constructed as a single-piece goggle, the Ascend is made with dual materials for the perfect combination of protection, firmness, elasticity and comfort. 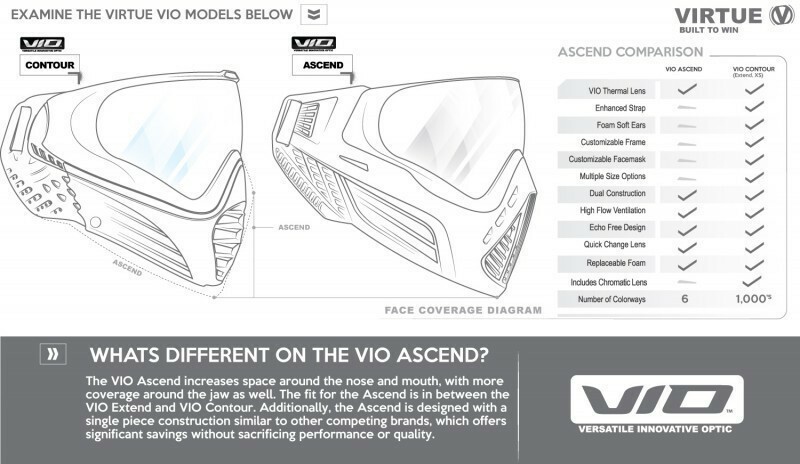 Though the Ascend is not built on a modular frame and facemask like the other higher priced VIO goggle systems, the Ascend does use the same technology found in crucial components of the VIO platform, such as its quick change, fog resistant thermal lens, upgradeable strap, replacement foam, stealth visor and fan*. Comes with a Black Chromatic lens.